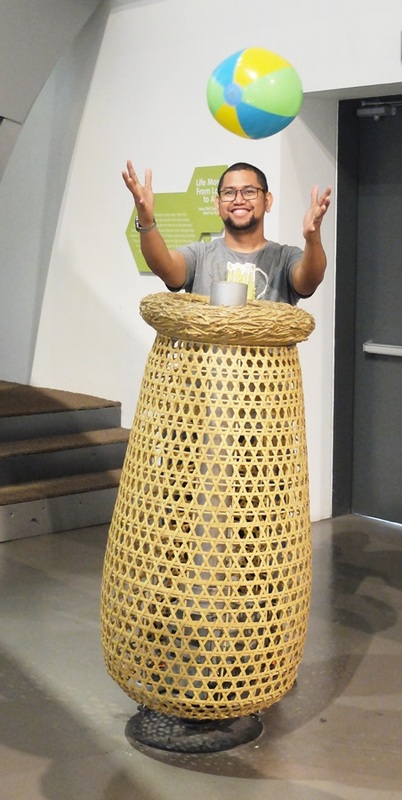 We visited The Mind Museum during our 2013 Philippines vacation. Tadaah! V remembered our trip to the museum and asked if we have a similar one here in Dubai (still looking). 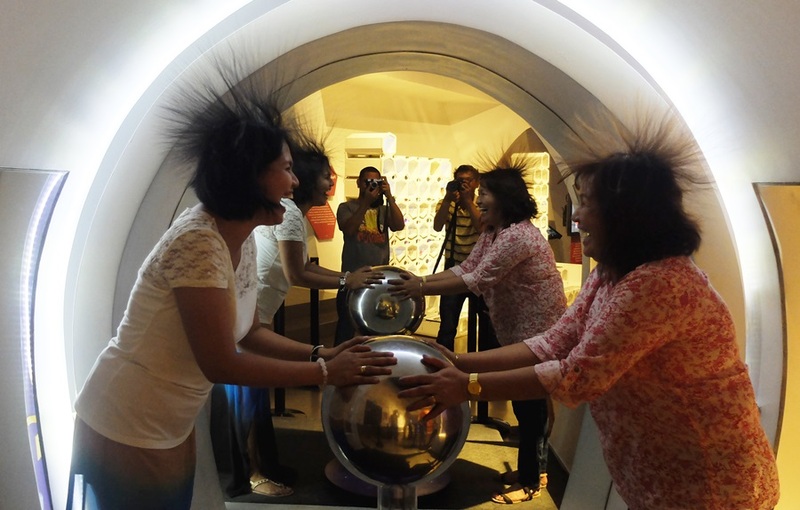 The Mind Museum is located at Taguig City, it is an interactive Science museum that encourages visitors to touch and experience featured exhibits in their five galleries: Life, Atom, Earth, Universe and Technology. Aedi, the robot – welcomed all guest’s and talked about the exhibits we’ll get to see inside the museum. Stan, the T-rex – a must see exhibit at the Earth gallery is 40 feet tall and the cast’s used are made from real fossils. 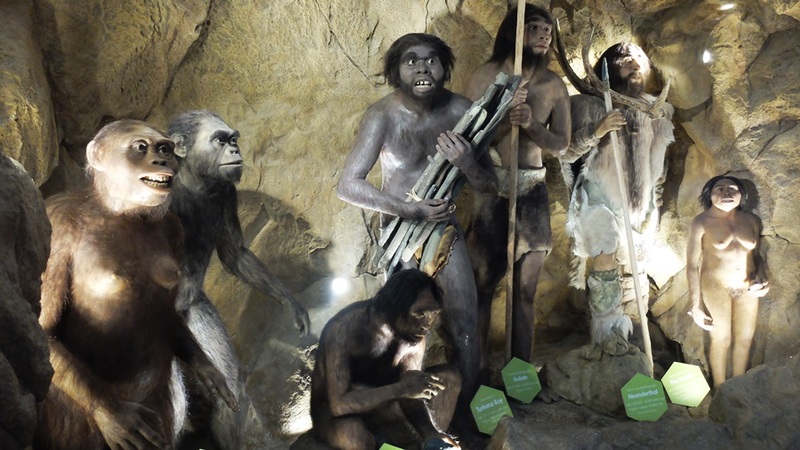 PreHistoric Men Statues, they looked so real! Mamita Elsa and LittleMan looking for fossils. At the Technology Gallery we made “newspaper” the old fashion way. Van de Graff generator, this static ball gave us a good laugh. We really enjoyed our visit to the museum, it was extra special because I got to spend time with my siblings – we were all together in one place after 5 years. Details on ticket prices and schedule can be found on the museum website. Yes! I’m sure you’ll enjoy. Thanks for dropping by! Wow, that looks like a fantastic place to have fun and learn! My son would love it!